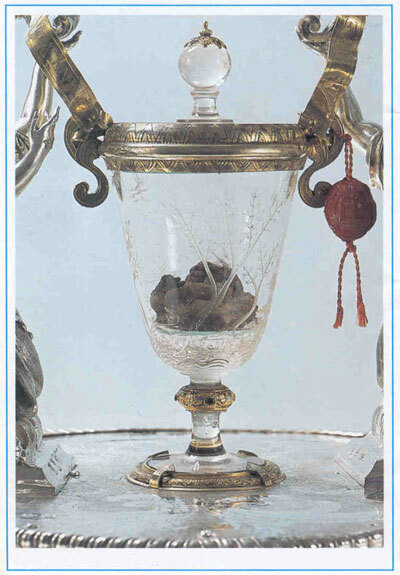 Of all Eucharistic Miracles, the one at Lanciano, a little town in Italy, just a few kilometers from the Adriatic Sea, is undoubtedly the one that is best known. This Miracle took place at the beginning of the 7th Century. 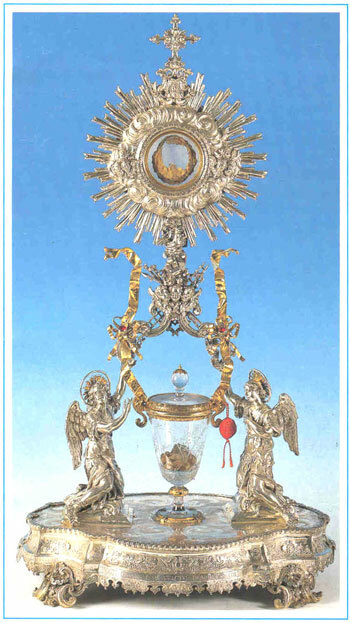 What follows is a true story: A Basilicatan Monk, very wise on the things of this world but much less wise on the things concerning the Faith, was going through a difficult stage in his perception of the Real Presence of Our Lord Jesus Christ in the Eucharist. He prayed constantly to get relief from his doubts; and he was filled with fear of losing his vocation one day. His martyrdom was very painful and he suffered daily from the routine of his vocation. The Divine Providence did not abandon him, because God the Father, through His Infinite Mercy, brought him out of this darkness through the same grace granted to Saint Thomas. 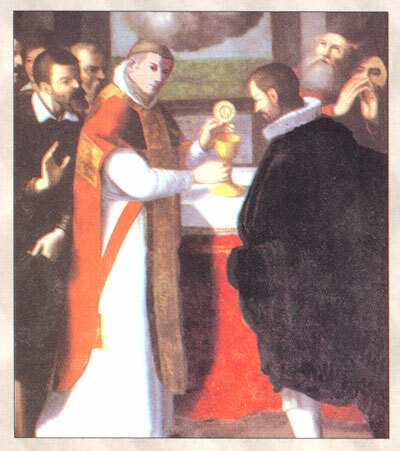 Undoubtedly, “the Gift” of Lanciano was given for the good Italian Monk, and for the people of the small village and for the people of that era in particular, but also given for the people of all nations of the world and for all the generations to come, because what is most remarkable, is the continuity itself of this Miracle, a Miracle which has remained visible for all people to see for a period of more than 1297 years, without, however, the least use of any product of preservation or chemical substances whatsoever; allowing the Flesh and the Blood to remain fresh, because yes, the Holy Host, transformed into Flesh, and the Wine transformed into Blood, have subsisted completely intact for more than twelve centuries. weighed together, be it 15.85 grams. 1. 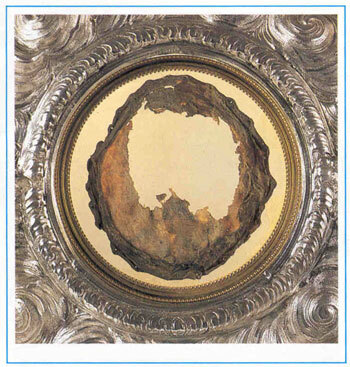 The blood of the Eucharistic Miracle is real blood and the flesh is real flesh. 3. The blood type is the same in the flesh and in the blood clots, AB. (Note: The blood type is identical to the one found by Professor Baima Bollone on the Holy Shroud of Turin). Several minerals were found in the blood: chlorate, phosphorous, magnesium, potassium, sodium, and calcium. Proteins were found in the same-normal proportions that are found in the sero-proteins of ordinary blood. 4. The diagram of this blood corresponds to that of human blood that would have been taken from a human body that very same day. The blood is real. It is made up of five-unequal clots, but each clot weighs exactly the weight of the five clots weighed together, be it 15.85 grams. 5. No trace of material or chemical agents was detected in the flesh or in the blood. The preservation of the Flesh and the Blood, which were exposed in their natural state, without the least means of whatever form of preserving agents whatsoever, left to the action of atmospheric and biological agents, constitutes an extraordinary phenomenon, scientifically inexplicable, and of which all of the results of analyses constitute an absolute violation of the laws of physics.